The quantity of intelligence in the Morettian method is visible firstly in the fundamental sign 'Letter width', which is very easy to measure and very difficult to interpret, in that it is only a potential indicator of intellectual profundity, which still needs specific qualities that are able to activate this primary disposition. If the width of the circle corresponds to 10/10 of the sign, 5/10 correspond to a width equal to half of the height. All the other widths are proportionally evaluated following the given rule. It is a fundamental sign of intelligence which indicates, using Morettian terminology, the intellectual quantity, namely the tendency towards the breadth and profundity of intelligence in the sense of inclination to extend its own vision to embrace all reasons and all causes. In this effort of extension and enlargement it is easy to understand what the risk of the 'Letter width' sign is in values well above average (8/10) and not activated by specific qualities: a generic and undifferentiated intellectual openness that is however not activated, resulting therefore in a generic disposition to the comprehension of everything and everyone though indistinctly focused. The sign, as we have already underlined, is a potential quantitative indicator that also finds its exact value in the qualitative and motivational context that emerges from the whole personality. For this reason I refrain from proposing examples of measurement of just the letter width, because the psychological value of the sign lies totally outside its mathematical valuation. 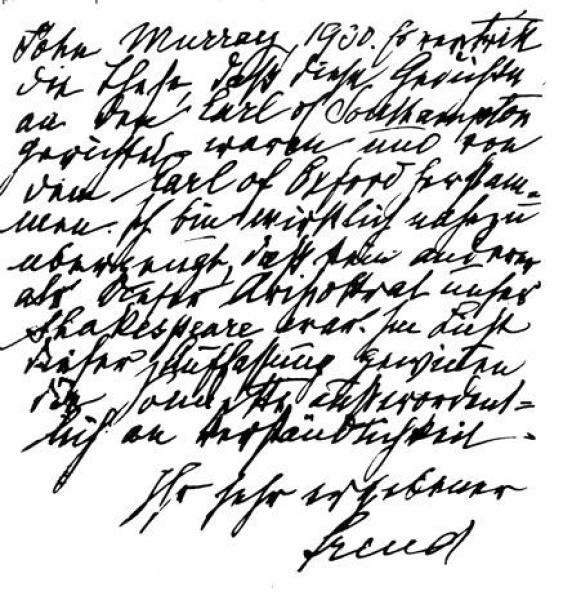 We note, however, the parallelism with what we have seen concerning the curved-angular dyad: too curved handwriting easily falls into emotional surrender, and handwriting with a too broad letter-width easily falls into intellectual stupor, unless it is supported by signs that indicate a certain firmness (Stable on the line, Straight Extensions) or a certain vivacity. The above-average quantitative indicator given by the 'Letter width' sign becomes an indispensable component for all the disciplines that require profundity and broad-mindedness, such as for example philosophy, politics intended as the art of government and religion; namely in contexts in which mental openness must exist as a primary condition to then allow criticism to be founded on solid and not overly sectoral bases. To express this problem clearly Moretti contrasts profound intelligence with acute intelligence. While, as we have seen, profound intelligence opens itself to research because it tends to embrace the phenomenon it investigates in its entirety, acute intelligence, given the narrowness of letters and acute angles at the inferior vertices, renders a more focused image of the mind and a more competitive sentiment, that wants to reach its goal in a sectoral way (narrow letters), concentrating perhaps on one single aspect, but defending this aspect with greater strength (A Angles) to the point of seeming even objectively more valid. We shall see, as an example, a classical cultural clash between an acute intelligence, that of Freud, and a less qualitatively rich but more profound one, that of Jung. 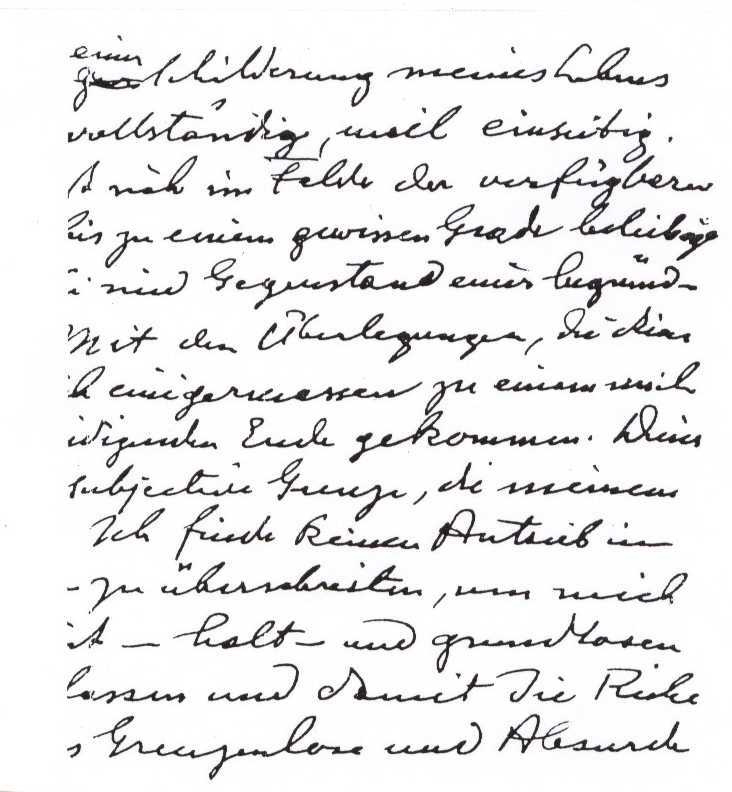 It is not difficult to understand why an innovator like Freud, who proposed themes that were considered absolutely indecent in public and perfectly well-known in private, requires the two components particular to the Acute sign, unilaterality of vision (narrowness of the letters) and strength of contradiction (above-average A Angles) to impose his own truth regarding sexuality, a truth contested by his cultural world in that it indicated something rather disturbing hidden behind the façade. The ideological severity that, with the typical methods of A Angles above 7/10 and peculiar to the Acute sign, is also founded on less noble things such as envy, jealousy and calumny, and was incomprehensible to Jung, both ideologically and certainly psychologically. While from a graphological point of view, therefore of personality structure, the dynamics are more clear. It is revealed, among other things, that neither of these two great psychologists possesses the 'Spacing between words' sign, which has below-average values, pushing both to the defence of their visions of the world, without the ability to critically consider the same and without the possibility, therefore, of conceiving the reasons for the inevitability of the other's position. However, remaining in the field of Letter width, Jung's greater mental openness makes it impossible for him to remain loyal – in the sense intended by Freud – to the sexual theory of his maestro, which was of extreme interest for the understanding of the neuroses frequent in that age and in that place, but not generalisable as explanatory dogma of the whole of humanity. Nevertheless it remains to be wondered whether Jung's greater openness and tolerance would have had the power to establish a psychological revolution based on how more indemonstrable it seems to be, that an unconscious side exists which fully determines man's conscious behaviour. Graphologically, it couldn't. Freud does not have the handwriting of a lucid scientist, also because the emotional contamination is evident, but he has the handwriting of a passionate man able to open the way to new visions, the great destroyer who breaks ties with the past and allows the new to emerge: the power and the limits of his profoundly original acute intelligence, of whose intuitions Jung then largely fed on.